I was born in Ottawa (Canada), where my father was a statistician. Noticing my musical talent, my parents moved back to India for me to train rigorously. Their vision was actualized when I came under the tutelage of Guru Smt. Seetha Rajan, and trained for 20 years in the traditional Gurukulam style – spending most of my waking hours in her house. Thanks to this rigorous training, I won several prestigious competitions, including the 3-day gruelingly tough RR Sabha competition in Trichy – where the uncompromising judges grilled us on advanced musical improvisations, and had not been satisfied enough to award any prizes a few years before I contested! These competitions gave me the confidence that I could take up music full-time and do a good job of it. When I was 21, I received an AIR A-grade as a special double-promotion, while auditioning for a B-high grade. I also gained proficiency in Sanskrit and Telugu, and completed my PhD in Sanskrit and Musicology. Today, I am equally keen on academics and performance, and hope to straddle both worlds. Music Academy Chennai honored you with the “Most Outstanding Vocalist” award last year. What do you believe makes you stand out? The younger generation of Carnatic musicians, is extremely talented today - and I’m sure the award was a close call. Having said this, I try to present a distinct style of music by adhering to the traditional ‘pathantara’ of my Gurus, and keeping a special focus on tonal purity, reposeful singing, and subtlety in presentation. You have a PhD in both Musicology and Sanskrit. Tell us something about your areas of research. I have worked on interpreting original manuscripts on the theory of Indian music. My PhD research was an enquiry into the works of Kohala, an ancient dramaturge from between 2nd BCE and 2nd CE. I am presently researching on the compositions of Bridal Mysticism of two of the greatest mystical poets of South India - Nammalvar and Annamacharya. How important do you consider acquiring proficiency in Sanskrit and other Indian languages to be in achieving excellence in Carnatic vocal? Indian languages are beautiful media for poetic expression. Appreciation of language and poetic expression, is very important for holistic musicmanship. Sanskrit is the fountainhead of most Indian languages, where the possibilities of poetry have been explored in such depth, that it made the path for later languages very clear. The freedom to create words on the fly (through rules of sandhi and samasa) while composing, gives unprecedented richness to the poetic possibilities of Sanskrit. Also the range of sounds, the soft sounds and the aspirated sounds – all these accord musicality to the sound of Sanskrit, whether recited or sung. Music, dance and the arts are so intertwined with Indian culture - and language is the mother of culture. Without language, there is no literature or poetry, and consequently no compositional music. In this regard, I feel disappointed to see the trend of parents not paying enough attention to teaching their mother tongue to their children – both in the US, and in some cosmopolitan areas of Urban India too. 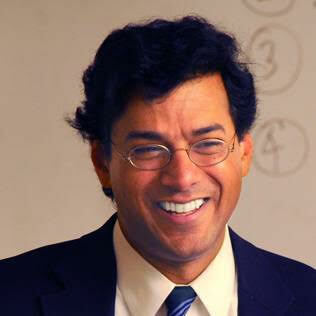 Neuroscience research has shown several benefits to learning multiple languages, and I find it surprising that many Indian parents in the US, don’t seem to feel it important to teach their mother-tongue to their own children. I know Indian children learning French, Spanish – even Chinese – in school, but not learning the language of their parents. When kids are not taught their Indian mother tongue, they lose access to brilliant literature, poetry and music, in one shot. And that damage is irreparable for future generations – the mother tongue is gone from their lives forever. More specifically, in the case of music, there is a marked difference in the way children who can speak an Indian language, are able to understand and process music – in diction, intonation etc. I see Indian parents in the US put in so much time and effort towards the musical training of their children – I wish they would also take care to ensure that their kids speak their mother-tongue as well. You wear multiple hats – performer, academic and researcher. Do they complement and enhance each other well? I aspire for knowledge and scholarship, as much as I aspire for performing abilities. I firmly believe that classical music is a performing art, and all musical education has to finally come together on the concert stage. A sound grounding in theoretical aspects, and application of those in practice, is the perfect combination of intellectualism in artistry - something akin to what Da Vinci did in his works. Theory also provides a context to the practice of music. For example, the history of a genre of art, should provide a context to the art - and allow us to appreciate it better. So yes, they absolutely complement each other. You are having a busy North American concert tour this year. Tell us more about it. This is my first concert tour of the US, and my concerts have been very well-received. 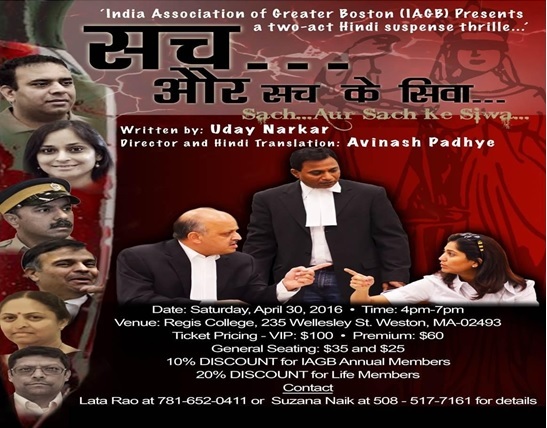 I was happy to find sabhas in the US to be quite meritocratic and respectful of talent. There are several excellent accompanying artists in the US, straddling music and mainstream professions quite well - and it’s been wonderful connecting musically, with such talented artists. US audiences have also been extremely tasteful – listening to 3.5 hours of a heavy Carnatic concert with Ragam-Tanam-Pallavi etc., and still asking for more! It is heart-warming to see the commitment of the Sabha organizers and the Indian community, towards Carnatic music. You were also involved in the Cleveland Thyagaraja Aradhana, and have also squeezed in some lecture demonstrations into your tight schedule? I am as passionate about Theory and Teaching of Music, as about performance. Hence I am also planning lecture-demonstrations on a variety of topics – Muthuswami Dikshitar’s Vivadi raga-s, Sri Tyagaraja's Nauka Charitam, the Music of Bridal Mysticism etc. Who are your role models in music? What are your ambitions for your journey in Carnatic music? I appreciate musicians who don’t dilute their art for popularity, and yet have something for everybody – whether the erudite connoisseur, or the lay listener. Semmangudi, KVN, MDR, and T. Brinda – have all exemplified such ethos. They never took short-cuts to popularity, such as drama or break-neck speed or an overt display of virtuosity – they were restrained in presentation, while also being expansive in imagination. They made complex musical pieces seem simple – only when you try them out yourself, does the complexity hit you! My personal preference is for the evocativeness of music to be subtle, not dramatic. Likewise, although I am generally considered to possess a flexible and fast-moving voice, I like to sing with restraint - and present recitals with vishranthi (reposefulness) in consonance with the pristine bhava (evocative mood) of ‘ragas’. I have always held a clear aspiration for my music – excellence, with or without popularity. If I had to choose between the two, I would rather be a highly respected musician, than a popular one. I am not suggesting that these two are mutually exclusive – I am just explaining what’s a higher priority for me. I would like to bring in a new depth of sound to my performances. I feel that Carnatic music, though a very advanced and intellectually complex genre, has not focused as much, on the depth of the sound experience – something that the Hindustani genre has done very well. Do you prefer to be a strict traditionalist focused on Carnatic Music, or do you consider yourself open to experimenting with fusion music, opportunities in Bollywood films, and TV shows? I enjoy practically all genres of music – Khyal, Dhrupad, Ghazal, Film, Western. I believe that music is without boundaries – yet I want genres to retain their identity and distinctiveness. I am fine with fusion as long as that is a separate genre with its own identity, incorporating the best elements of two traditional genres. I do not wish for the traditional genre to sound like fusion, or vice-versa. I am not keen on experimenting, in the sense of lightly trying something out. If I take up another genre apart from Carnatic, I will do it very seriously. I have just begun training in Hindustani khyal singing – and I hope to go deep into it. At the same time, I want to keep my Carnatic and Hindustani music distinct – I do not want raga Pantu Varali to sound like raga Pooriya Dhanashri, as trending these days. While I have been trained in voice culture techniques, and have adopted some practice techniques of the Hindustani system, I believe in maintaining the purity, sound and feel of Carnatic ragas. Do you have any thoughts on using music as a medium for community service? I believe that music is a universal human need, quite as basic as the need for love and care. Inmates of Nazi concentration camps, are known to have composed music even while suffering brutal torture. Music is an elevating medium that people instantly relate to. I once sang for Vidyanjali - Chennai, a school for special children. The video is online - it is amazing to see them responded to their favorite songs. It is said that one needs to be a ‘sahrudaya’ (sensitive to others) to be a true rasika – and I felt how music could really touch these wonderful children. I must also add here, that I believe that pro bono recitals should be exclusively for underprivileged and disadvantaged communities. I do not agree with other audiences or organizers wishing for professional musicians to perform for free, as a community service. It is not right to keep Carnatic concerts free, for audiences that can well afford to contribute an honorarium for the artists. Our culture has always considered it the sacred duty of the general public and the king, their ruling representative, to support temples, artists, sanyasis etc. – called “Ashraya” in Sanskrit. This is what we should encourage. Unfortunately today, we see rasikas willing to spend Rs. 300 on a pizza without batting an eyelid, but hesitating to pay Rs. 50 or Rs. 100 for a 3-hour concert performed after decades of the most grueling sangeetha-sadhana. This is a disturbing trend which does not bode well for the future of the music we wish to nurture. For the health and future of our wonderful heritage, professionals must facilitate a culture where rasikas always support the art form, at least in a modest way. There is a time and place for community service, and the musician community has risen up to several occasions (such as flood relief etc) - and will continue to do so. MS Amma used to charge for her concerts, and give away the concert fees for charitable causes. That is the approach and model I support even for community service – not free music. What are some frustrations that classical music professional encounter these days, and how can these be reduced? Auditorium acoustics, mics and sound systems, are often a frustration. Several technicians are unable to manage sound for classical music. Audiences largely judge a concert on the overall sound experience - and the musician is often at the receiving end, due to things beyond his/her control. There is a lot of sound engineering expertise in the US, and it would be good if temples can build multipurpose halls with acoustics also as a consideration. Another disturbing trend is that of audiences fiddling with smart-phones through concerts – both for senior and upcoming musicians. The fact that people are losing attention span – whether in a concert or a classroom, is quite disturbing and demotivating for a musician. It comes in the way of an elevating musical experience for the whole assembly – ‘mehfil’ as it is called in Urdu/Hindi. 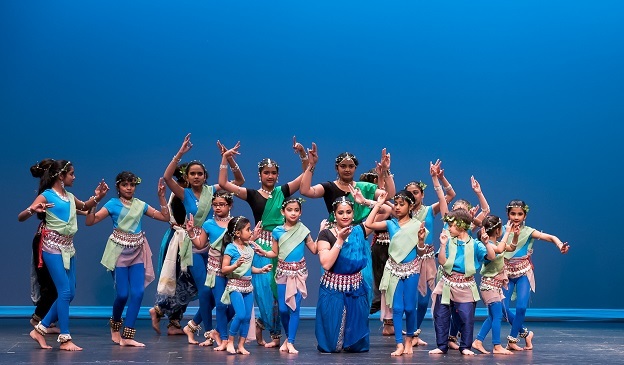 Do you have any advice for children pursuing Carnatic music training in North America and their parents? Music is a most faithful, healthy and invigorating companion for your life. Music’s benefits in brain development have been proven; it has been established as a whole dimension of intelligence (like spatial intelligence, mathematical intelligence etc). So, please continue to learn and practice music - whether or not you take it up as your mainstream career. Make time for it, like for the gym, or for Yoga. Our music is, to a large extent, a mental activity. There is a word in Sanskrit called ‘manana’. It means constant contemplation. Music must enter your thoughts, it must enter your dreams.